In July, Ditch The Carbs website hosted the Sweet NZ blogging event. As I was hosting the event this month, I was able to stipulate I would prefer the recipes to be as low carb as possible. There were some fantastic recipes this month. I would like to thank everyone who submitted their low carb baking, knowing they may be up to scrutiny. Brave souls. It has been an extremely interesting exercise to calculate the carbohydrate content of each recipe. As soon as dried fruit, flour and sugar are added, yowza, those carbs explode. It certainly highlights to me why I have given up carbs. 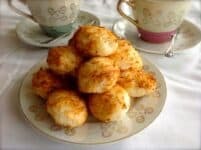 So what does low carb baking mean? Well first of all NO sugar, this means no honey, no maple syrup, no dried fruit, no apple sauce, no bananas ….. why? 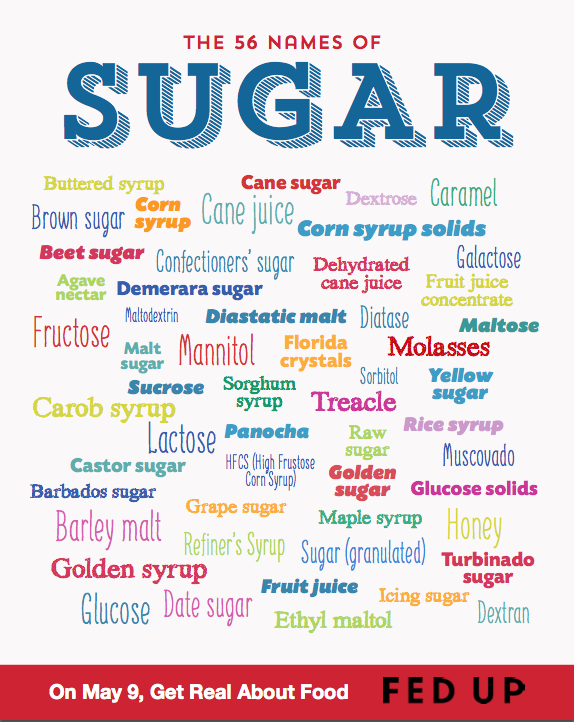 Because these are all seen by our body as sugar, plain and simple. Yes it is a personal choice as to whether use a sweetener such as stevia or not, but for me, I keep sugar at an all time low. Sure, go for dried fruit if you don’t like the idea of stevia, but don’t go for dried fruit because you think it is a healthy sugar, there is no such thing as a healthy sugar. All the above are absorbed by your body and turned into glucose which then causes a rise in our insulin. And insulin is what we strive to lower. It is our insulin which causes increased appetite, causes fat deposition, stops fat burning and let alone the glycation that sugar produces. Glycation is when glucose and fructose bind to our proteins and lipids resulting in rogue particles called AGE (Advanced Glycation End products). And you certainly don’t want these. They are associated with alzheimers, diabetes, heart disease, kidney problems, stroke, high blood pressure and collagen production (and tell me someone who wants wrinkles). I have found staying low carb has had the most dramatic change on my weight, health, energy, skin and concentration. We all strive to find out what works for us, for some it is being a vegetarian, vegan, low fat, …. and I say as long as you are happy with your weight, blood results and your state of health, fabulous, stick with it. If not, try and get to the bottom of what isn’t right and try to correct it. 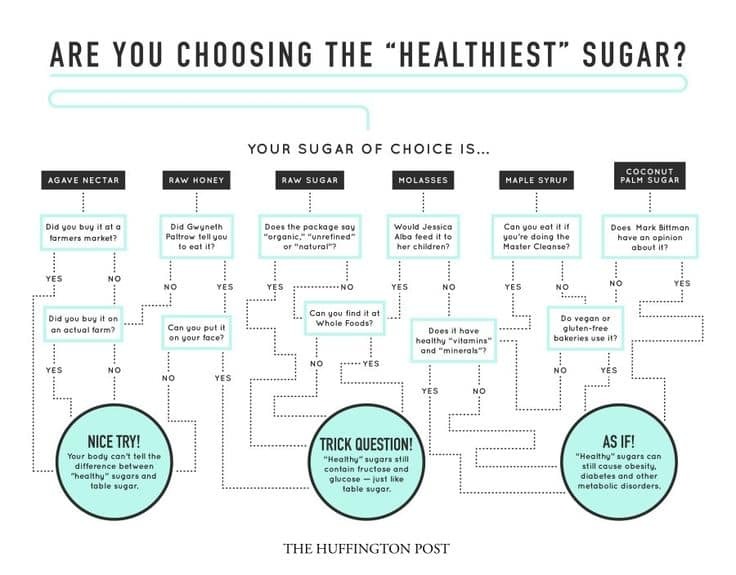 Source : Huffington Post “Sorry, There’s no such thing as a healthy sugar”. Baking sweet desserts doesn’t sit easy with me because of the damage sugar does to our health. 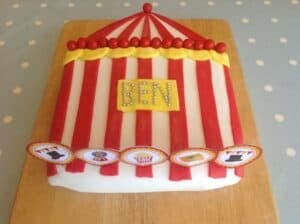 I used to be the baking queen, birthday cakes covered in fondant, huge iced cupcakes (I was even asked to set up a cupcake business) but all of that has stopped. Becoming LCHF (Low Carb High Fat) has changed our entire way of eating. Yes I make cakes and desserts, and you’ll see I post plenty of low carb baking recipes, but giving them up and finding a new way of eating, a new normal, is part of our families health regime. 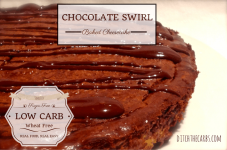 I now bake low carb cakes, low carb desserts and low carb treats with an emphasis on nutrition. I don’t even have flour and sugar in the pantry anymore, and that is saying something as I used to buy the huge 5kg bags! Yes, really. These are the great recipes this month, in the order in which they were entered. Thank you again for everyone who took the time to enter. Any idea where to buy some sugar free and keto friendly chocolate chips in New Zealand? Most I have found are sweetened with maltitol so not suitable..
No, I have never found any I like. I use cacao nibs instead. I’m afraid i have never used Yacon syrup. Readers have told me it is expensive. Anyone else wish to add their advice here? Is it ok to have Quaker old fashioned rolled oats every other day? Love oatmeal! The amount of carbohydrates you eat will depend on your situation. For example if you don’t have any weight to lose, you don’t have any other health issues you are trying to resolve, and your appetite is under control, then you will be able to tolerate more carbs than someone who is T1 or T2 diabetic, overweight and is trying to correct their blood results. I don’t see coconut sugar on the list is it okay to use in baking? Great article – thank you. I think your concept of making a choice is so valid. As I began changing my eating habits, I thought dried fruit was a healthy alternative…now I realise (because of people like you) it’s still sugar. It is now a choice for me to have or not…but not I’ll use this because it’s better. It’s not about do this or don’t do that, it’s about understanding the effects, and making the best personal choice. Thank you. I think you’ve summed it up nicely. Personal informed choice is the key. Thank you for hosting Libby, I hope you had fun! And wow, I didn’t think that the banana and berries would have so many carbs! I thought that one ripe banana had about 20-25 g of carbs and one portion here is 1/4 banana (i.e., this was eaten by 4 people, but I guess that there may be people who eat the whole lot as one portion!!!). Yes a medium banana has 24g carbs but the large banana used will be 27g (or more), and 1 cup of frozen berries is about 17g. I couldn’t see how many servings it made, so if it made 4 then yes it should only be 11g/serve. Thanks.